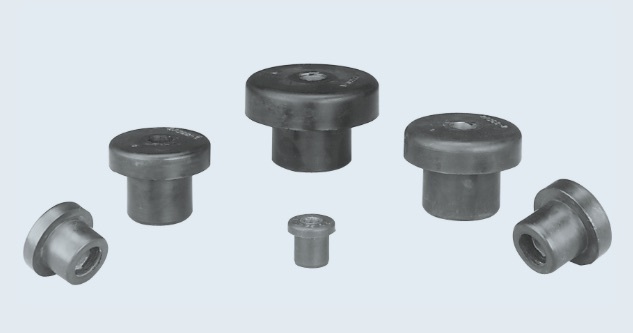 Versatile, low cost elastomeric isolators protect against shock & vibration and reduce structure-borne noise in vehicular and industrial applications. Barry-Bond Mounts are designed for multidirectional vibration isolation, shock attenuation and noise reduction due to structure borne vibrations. These one-piece, fail-safe mounts are easy to install and provide consistent performance. Natural Rubber elastomer has an operating temperature range of -40°C to +85°C. BC-1125-2 & 4 .02 lbs. dB Engineering is your authorized value-added dealer for all Barry Controls products. We have been in business for over 25 years and supply a variety of industries the parts to help with their sound suppression or vibration control issues. Contact us with any questions.